• In Bramunigam area of Kandhamala District tension started on 24th Dec 2007, with erection of an arch made by the local Christian in the eve of Christmas at Bramunigaon village of Kandhamala District. Both side resorted to brick batting and ultimately bullets were fired from country gun from other side as reported by our contact person from the locality. • On 25th Dec 2007 attacks were made on the Catholic Convent at Bramunigam and is destroyed by bombs. • World vision office at Daringbadi is completely destroyed by fire. • Ladapanga Church in Daringbadi and Irpiguda Church in Balliguda pastorate union (CNI) are burnt. • Balliguda town CNI Church is damaged by the fundamentalist group. • On 25th Dec 2007 morning some people started objecting church service at a NMS church at Puri. They threw Chappal's, shoes etc inside the church. However due intervention of local gentlemen the situation was controlled. • On 25th Dec 2007 evening a petrol bomb was kept inside the premises of the Oriya Baptist Church ( CNI) Berhampur. However the police immediately came to the site and removed the material. The situation now at Berhampur is normal. • Bishop Samson Das of Cuttack Diocese have contacted the DG Police and other state administration to give protection to the churches and the Christian community. He has also appealed through local TV to the people to maintain harmony. • Curfew has been imposed at Daringbadi, Dasingbadi, Bramunigaon, Balliguda and G. Udaygiri. Last night many people spent the night in the jungle in Balliguda area and Catholic sisters of Daringbadi took shelter with the families at Greenbadi CNI Church. • Now the fundamentalist have targeted G.Udayagiri area of Kandhamala District. Last night they held the meeting at Kalinga 7 KM from G.Udayagiri and threatened the near by churches and also threatened to demolish the Diocesan office. • The Bishop of Phulbani Diocese have informed this matter to District Collector and S. P over the phone but they have not yet provided any kind of security. Thousands of Christians are watching over Churches in G.Udayagiri area since last night. 26th Dec 2007 is going to be very crucial day as anticipated by the local Christians. 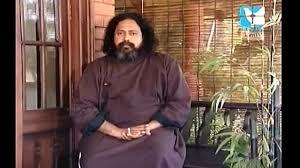 • The Bishop of Phulbani Diocese is not staying in Bishop's house since 24th evening as he is getting regular threats. Please prayer for the Christians in Orissa in particular for the District of Phulbani, Kandhamal, Ganjam and Puri. How can one achieve that inner peace? 1. Meditate or do spiritual exercises. This will give you a reference point for it that will eventually spill over into your daily life. 2. Practice your faith consistently. You'll develop strength to see you through adversity, plus understanding of purpose for it. 3. Practice gratitude for everything in your life. Even the things you don't like are here for your learning and growth. Gratitude leads to inner peace. 4. Look for the good in yourself. Look for the good in everything and everyone around you. A warm glow of peace will fill you when see the good. 5. Promote peace in yourself. Choose to stay calm in the face of challenges. 6. Love yourself. Self-compassion and self-nurturing creating a foundation of inner safety in which it's easier to stay calm and peaceful. 7. Forgive yourself for anything you've judged in yourself. Release and enjoy this again. 8. Let go of grudges and resentments against others. Forgive and forget for greater inner peace. 9. Practice honesty with yourself and others. When you are true to yourself, this is present. 10. Remember, you are much more than the body and personality that you normally identify with. Your core, your divine essence, is peace. 11. Focus on the positive. Expect the best, do your best, and you will receive what is best for you. Accepting this, you find inner peace. 12. Become a Neutral Loving Observer of yourself and your life. Then you can accept things you don't like, but see more choices for improvement. 13. Look at life as a grand classroom. You are here to learn and grow and uplift yourself. Greater learning and self-awareness bring inner peace. Take any one of these suggestions and really put it to use in your life for the next month. Check to see if you feel greater inner peace at the end of the month. "Indeed for those among Moslems, Jews, Christians and Sabeans (who hopped from one religion to another seeking the truth) who have faith in God and the Hereafter, a great reward from God awaits them. They have no fear and they have no grief." May the blessings of Christmas warm your heart now and always, too. The Holy Spirit is the spirit of all grace and of each grace as well. Purity, power, holiness, faith, love, joy and all grace are brought into being and perfected by Him. Do we grow in grace in particular? Are we to be perfect in all graces? Then we must seek the Holy Spirit by prayer. "Human destiny" is settled not by the will of man, but by the will of God. That which determines human destiny is whether or not a man has been born again, for it is written, "Except a man be born again he cannot see the kingdom of God." And as to whose will, whether God's or man's, is responsible for the new birth is settled, unequivocally, by John 1:13-"Which were born, not of blood, nor of the will of the flesh, nor of the will of man, but OF GOD." To say that "human destiny" may be changed by the will of man is to make the creature's will supreme, and that is, virtually, to dethrone God. Our bodies will store emotions within certain organ systems. Our muscles tense up and become rigid when we always feel we have to be right or when we always have to be the strong one, feel inflexible, or we may feel manipulated and vulnerable. Additionally, out of balance muscles can result in a strain of our skeletal system. Our nervous system is an amazing electrical system. Just imagine, neurons pick up thought forms instantly! If we feel as though we aren't receiving true communication from others, we feel it in our nervous system. Feelings of not being important affect our nervous system as well. How many people do you know with Irritable Bowel Syndrome? Our Digestive Systems tend to hold emotions of fear, guilt, resentment and deep-seated abuse.Remember to treat each moment with love, gratitude and honor. This means, not having to waste time on thoughts of suffering, illness, dis-ease, anger, hatred, worry, guilt or any other limiting thoughts. Don't focus on what you don't like about your body and your life - marvel at the amazing processes within your physical body and the amazing lessons we’ve learned in this physical realm! My teacher, Vianna also believes you should live life as if you have no secrets. Do not look upon your enemy with disdain or hatred; rather, view them as your best teacher. Ask yourself, "What lessons has this person taught me about myself". This is not to say we have to make enemies and learn the hard way - absolutely not at all. The gift in all this is, learning how to bless them so we can heal and remove those blocks that are preventing us from moving forward. When we begin to remove blocks, we become even closer to our true essence. Our heavenly Father commands us three-hundred and sixty-five times in the Bible to fear not and to trust in His help. Even if we feel like worms or maggots (Is 41:14), helpless, hopeless, and tempted to hate ourselves, our Father assures us we don't have to live in fear (see Lk 12:32). We can trust in Him. Remember the blind pilot, Miles Hilton-Barber. He couldn't be concerned about where he had been. Only where he was headed. He embarked on that extraordinary journey with something we all need on the journey through life: trust. Miles Hilton-Barber trusted. He trusted that somehow he would arrive at his destination, that somehow he would defy the odds and achieve his goal. He trusted that he could do what others said was impossible. He knew the risks. But you might say he journeyed with his eyes wide open. And with his heart wide open, too. A heart that knew how to simply surrender. And how to have faith. Faith that he would get where he needed, despite his difficulties. Do not trust your thoughts!Your mind will play tricks on you, creating imaginations and lofty things that are against what I have established as truth.You need to discard them and throw them aside for the lies that they are.There is truth, if you make Me your priority. If you learn of My ways through the intimacy established for you by the life, death, and resurrection of Jesus Christ, you will find it.I will write My truth on your heart. Where God is, there is joy. in the joy of trustful soul and of glowing hope. We experience it even when “the plants and trees rejoice and bloom with joyful song” (Is 35:1,2). Where God is “sorrows and mourning flee” (Is 35:10), for he heals the broken bodies and bruised (wounded) hearts with an overflow of the bright ocean of love. The torches burn brightly when swung back and forth. In the same way, the healing of presence of God brings out the rich qualities of a person under the cold, merciless wing of suffering. Where God is, the redemptive works of his Son Jesus continue. However, the mighty presence of God in the world does not yet rule out the naughty presence of suffering. As long as we carry around our mortal bodies wounded by sin and until the Lord comes at the end of time, we have to accept suffering willingly and even joyfully. We must permit no distress to break our friendship with God. A boy and girl are playing on the beach building together sand castles, unaware of the approaching sea waves. Eventually the tide comes and sweeps away their castle. You know what they will do. They will have a hearty laugh and proceed holding hands to another spot on the beach to build together castles again. Likewise, we may build castles real and unreal but God may wipe them out. At times, we may feel that the landscape of our lives is turned into a desert. But even then we must hold on to God’s hands and wait patiently for his coming, as “the farmer awaits the precious yield of his soil” (Jas 5:7),”without murmuring or grumbling against one another” (v.9). Patience is not a beggar’s virtue but the passion of the great hearts.